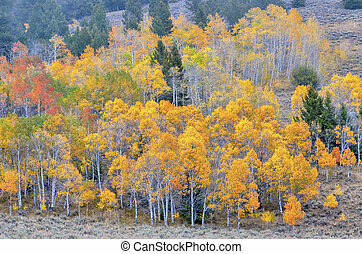 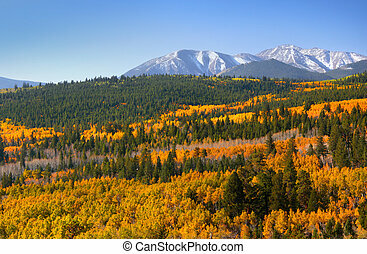 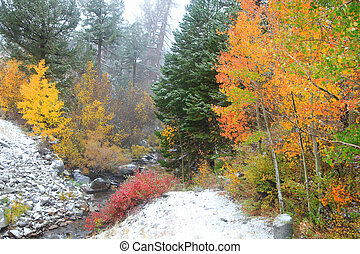 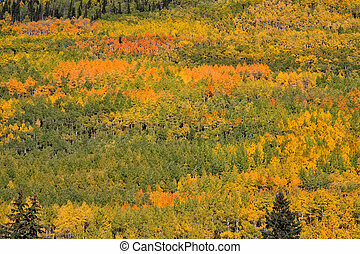 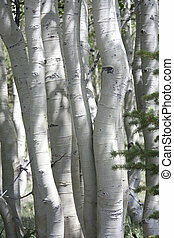 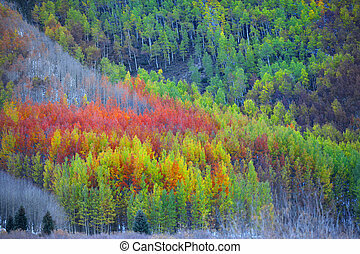 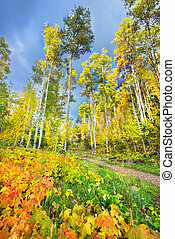 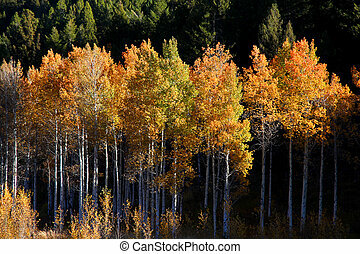 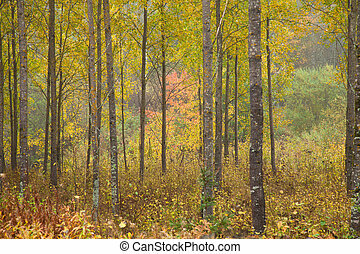 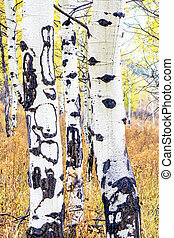 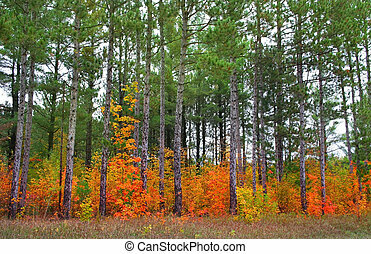 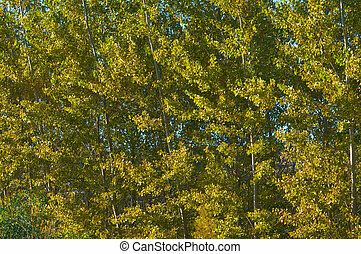 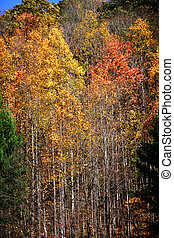 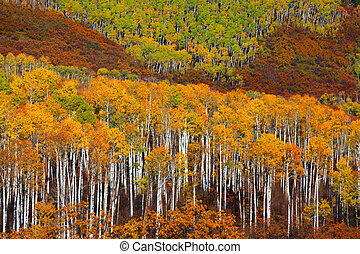 Colorful aspens. 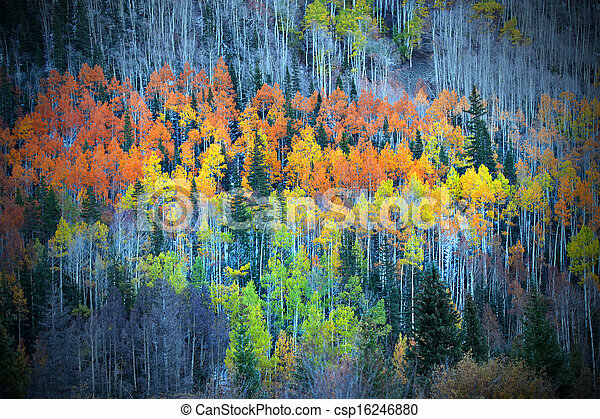 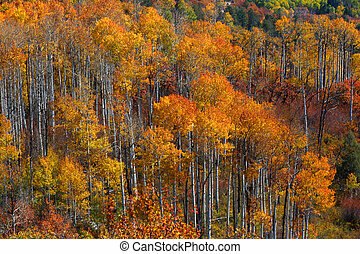 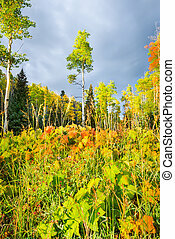 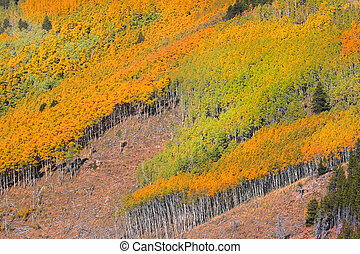 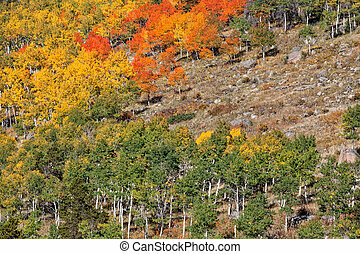 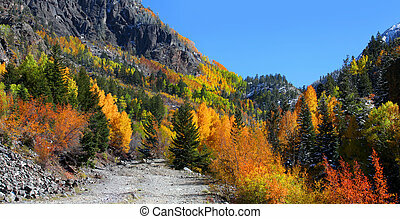 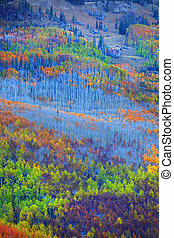 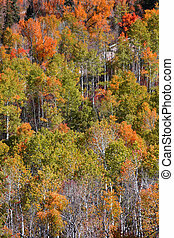 Colorful aspen trees on the mountain top. 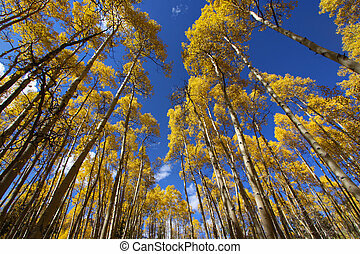 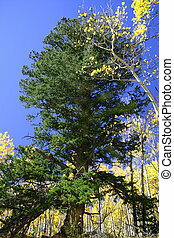 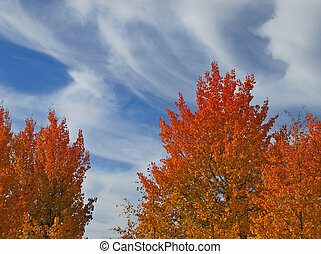 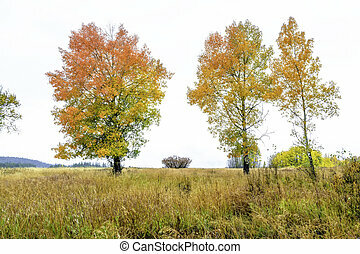 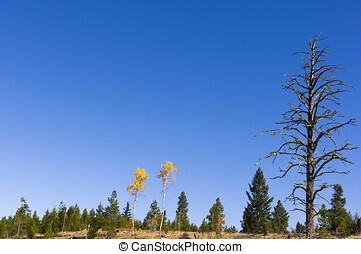 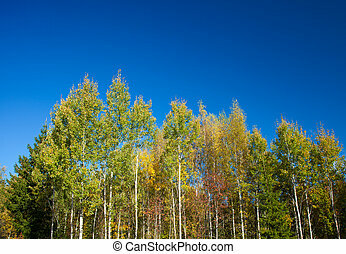 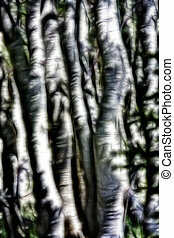 A pair of colorful aspens in autumn color stand against a cloudless blue sky alongside a towering dead tree in the interior of BC, Canada.